Even though we are a northern state, the summers in Ohio get very hot. Driving a car with no AC makes matters even worse. At the same, if you have a broken car heater in the dead of winter, you're in for a very chilling ride. 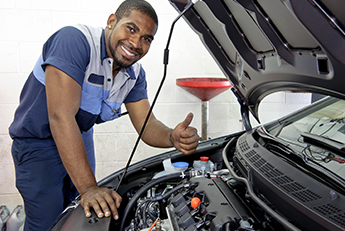 At Wayne's Auto Repair, we provide prompt and affordable auto heating and cooling repair in Powell, OH. Sometimes your air conditioning system needs more than a refrigerant recharge. If so, don't sweat it when your vehicle's air conditioner is broken. Our ASE-certified auto technicians accurately determine the problem and replace the damaged parts. Whether you need minor auto AC repair or complete AC replacement, you can trust our mechanics to conduct quality service at the right price. In addition, we offer complete AC diagnostics and recharging. In order to keep your car's air conditioner in perfect shape, you can always expect comprehensive inspections of your entire climate control system. Beat the heat by turning to our technicians. We have the experience and tools to keep the cold air blowing. Take the chill out of the air when you're driving around this winter. If your vehicle's heater is broken, you'll have cold ride wherever you go. Instead of wearing warm clothes while you drive, why not come to us? For fast and affordable auto heating repair, our auto technicians know how to bring on the heat. We provide full-service repairs so you can enjoy the cold weather from the comfort of your fully heated car. Not all auto repair mechanics are equipped to replace car heaters. Because we are experienced and ASE certified, we provide auto heating replacement for all parts. We also use state-of-the-art tools and quality parts to provide reliable installation. Whether the problem relates to a faulty heater core or a blown fuse, we determine the problem and repair it quickly. Contact us for car AC or heating repair at the first sign of problems. We proudly serve customers in Powell, Lewis Center, Delaware, and Dublin, Ohio.